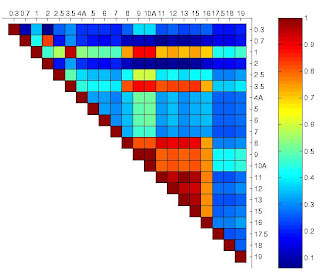 A Correlation Matrix shows the levels of similarities between variables. This does not look like the common map but is considered to be one. They do not have to be used only for cartography reasons.